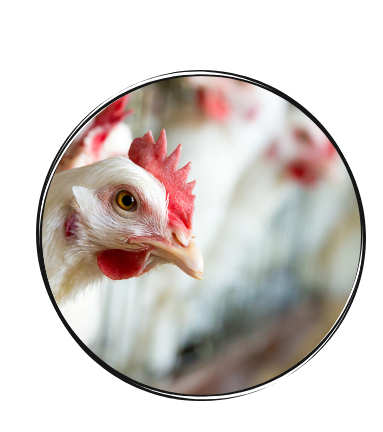 Salomega is an essential fatty acid supplement, which has been developed for the poultry sector. The essential Omega-3 fatty acids have been important functions in poultry in reducing the growth depressing effects of various diseases, improving broiler performance, aiding fertility in male breeders and optimising leg bone and keel bone strength. The use of Salomega with high levels of Omega-3 coming from salmon oil will help to redress the imbalance between Omega-3 and Omega-6 fatty acids and to give a supplement source of the long chain fatty acids EHA and DPA that are not present in any vegetable oil used in animal feed. Improves Antibody Stimulation – replacing Omega-6 vegetable oil with Omega -3 Salomega improves antibody production. Reduced Inflammation – high Omega-6’s can cause an excessive inflammatory response to infectious challenges. Salomega will help to redress the imbalance between Omega-3 and Omega-6 fatty acids. Improved Leg Strength – Salomega reduces Prostaglandin E2 synthesis and increases leg bone strength and thickness. Performance – the combination of vegetable oils with fish oil has a beneficial effect on body weight compared to vegetable oil on its own. Salomega has a very high fish oil content. Improved Fertility – the addition of Salomega increased watchability, sperm number and reduces age related sperm decline. For more information or to buy Salomega, contact your local distributor.